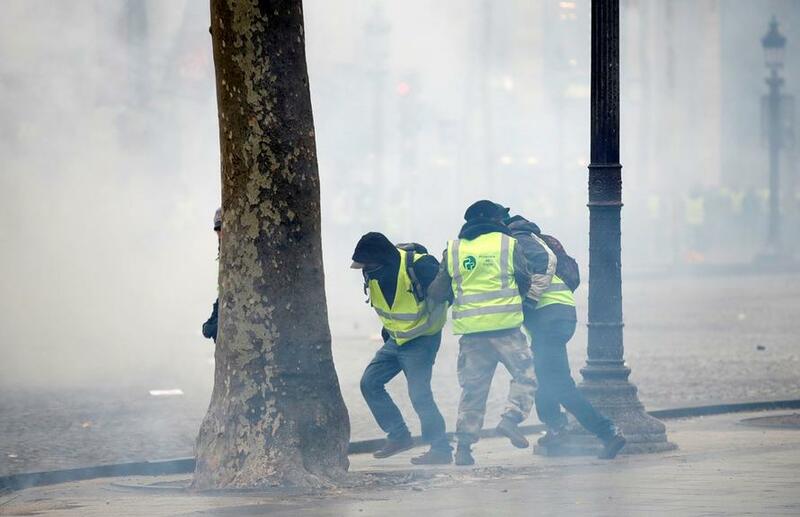 Just under 70,000 police have been mobilized across France in an effort to contain some 33,500 estimated protesters - a much lower turnout than in previous weeks, while the Yellow Vest movement itself has spread to several countries across Europe, as well as Iraq, Israel and even Canada. 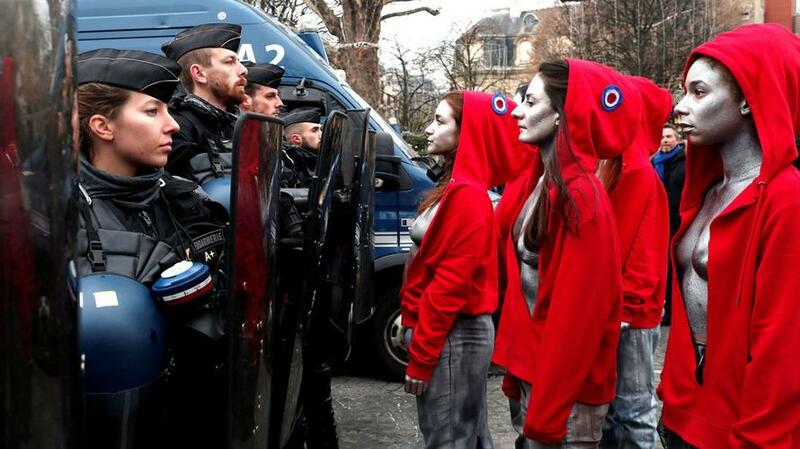 Meanwhile, in stark contrast to the bright yellow vests worn by most protesters - a groupd of half-naked women posing as Marianne, the Goddess of Liberty and a symbol of French patriotism, have faced off with police in Paris. 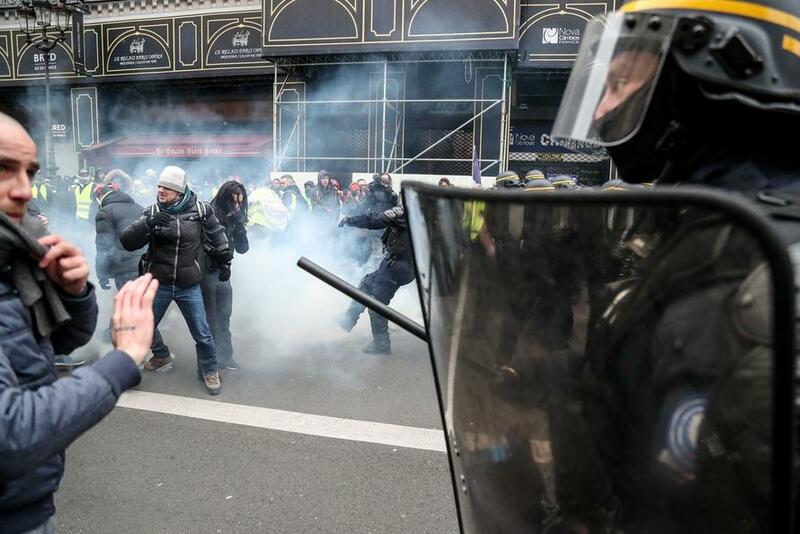 "Last time, we were here for taxes," said 28-year-old called Jeremy told the AFP news agency. 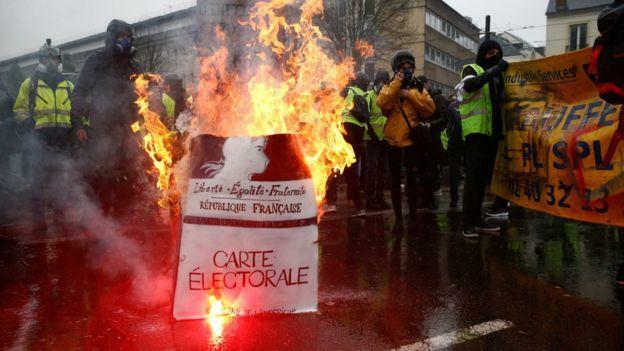 "This is for the institutions - we want more direct democracy," he said, adding that people needed to "shout to make themselves heard".